This statistic shows the means used by the French to estimate and fix the selling price of their property in 2014. 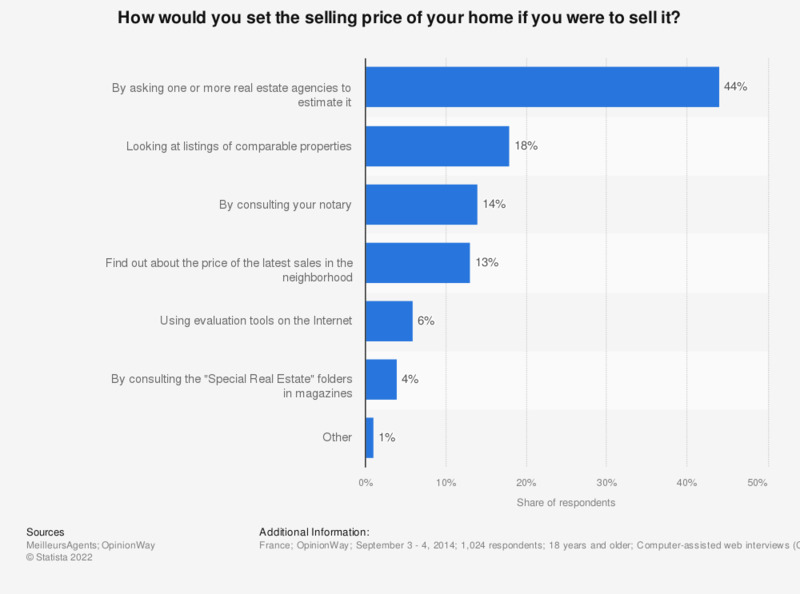 At this time, more than 40 percent of respondents asked one or more real estate agencies to estimate their property in order to set the selling price. The source adds the following information: "only one answer possible"